I should start by warning you all that this is a bit of a geeky post. However, if you work with data as precious as the family memories I do, then it’s worth a read over a coffee. Last week I experienced every creative professional’s worst nightmare, the computer that wouldn’t start. It was Monday morning and I had an intricately written ‘To-Do’ list that I had crafted the night before to be getting on with. I made my espresso, sat down at the computer and pressed the power on button to be greeted by this. Now I’m reasonably proficient with computers, I’m the go to person for my family when they are stuck, I upgraded my own hard drive to a solid state drive a couple of years ago and I class myself as an intermediate user, so I’m not one to be phased by a ‘glitch’. I remained calm, thinking that there must be a simple fix. First thing to do was turn the computer off, check all the connections and then turn it back on again. Unfortunately this made no difference to the situation with the same screen appearing. Ok, so It’s probably just a simple software problem, I thought. Not to worry, I run a Mac system so I’ll just boot it into safe mode, repair the problem from there and then restart as normal. 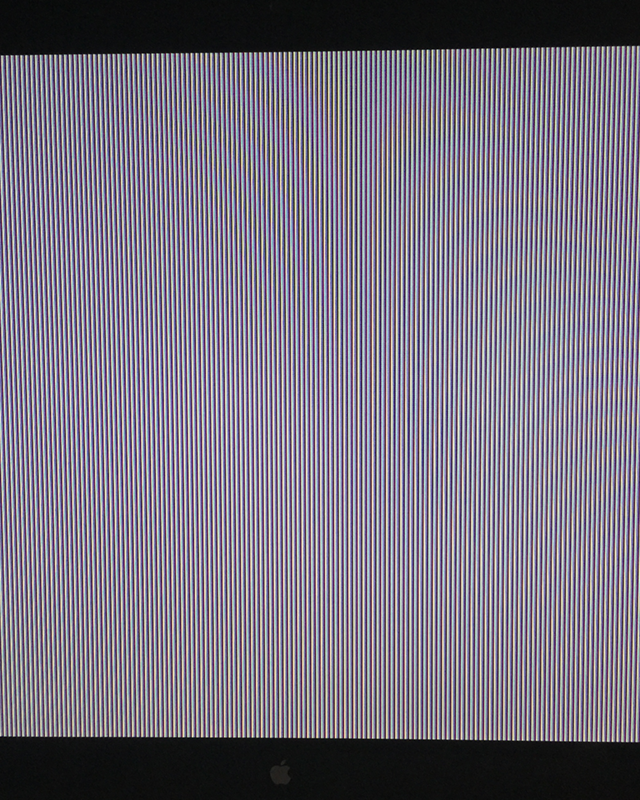 Nope, the computer didn’t want to play. It wouldn’t boot into safe mode either. I must have tried around 10 different fixes I found on various Apple help sites and still, nothing worked. Now, I was starting to worry. I needed my computer and more importantly I needed my data. Several things went through my head… What if the hard drive was corrupted? What if the computer wasn’t ever going to restart? What about that data? Has my espresso gone cold? (If you know me, you’ll know that this last one is just as important as the rest). It was at this point that I remembered I pay for and use Backblaze, the autonomous background data backup system that I just let run and do it’s thing. It was time to put it to the test. Borrowing my wife’s computer I logged into the Backblaze site and with trepidation clicked through the levels of folders to where my data should be… and there it was. All present and correct and waiting to be downloaded, I selected the files I needed, hit download and after a short wait, they were there on my wife’s computer as good as new. The relief was tangible, the backup system had worked. My monthly fee had been well spent. Knowing that my data was safe, it was then time to get to an Apple store and get my laptop repaired. It turned out to be a fault with the logic board, a rare problem but one which is easy fixed. Best of all, it hadn’t affected the hard drive so the data was safe this time. Although it could easily have been a hard drive failure in which case I’d have been downloading a lot more than a few files from Backblaze. 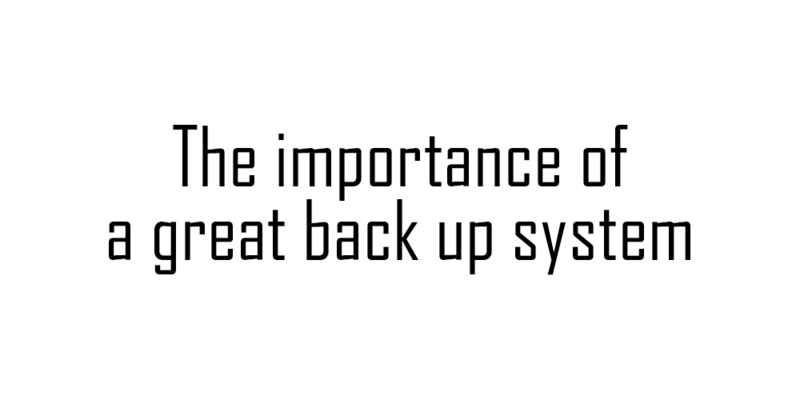 The moral of the story is… back up and make sure that back up system is reliable and preferably off site. So, clearly my choice and recommendation is Backblaze, but who and what exactly are they? Well it’s an awesome little program you run in the background. It uploads your files to their servers and stores them securely behind layers of encryption so secure that even the Backblaze staff can’t access the data without my personal details. Then, if you ever have a need to restore your data, you simply log in, find the files you need and download them, back to your computer. Oh and the very best bit? All this costs just $5 a month, which works out around £3.87. A small price to pay for peace of mind I think. To find out more about Backblaze and get your first month for free, visit the Backblaze site here. Are your families memories worth $5 a month? *I have not been paid to write this article and am simply just a happy Backblaze customer.